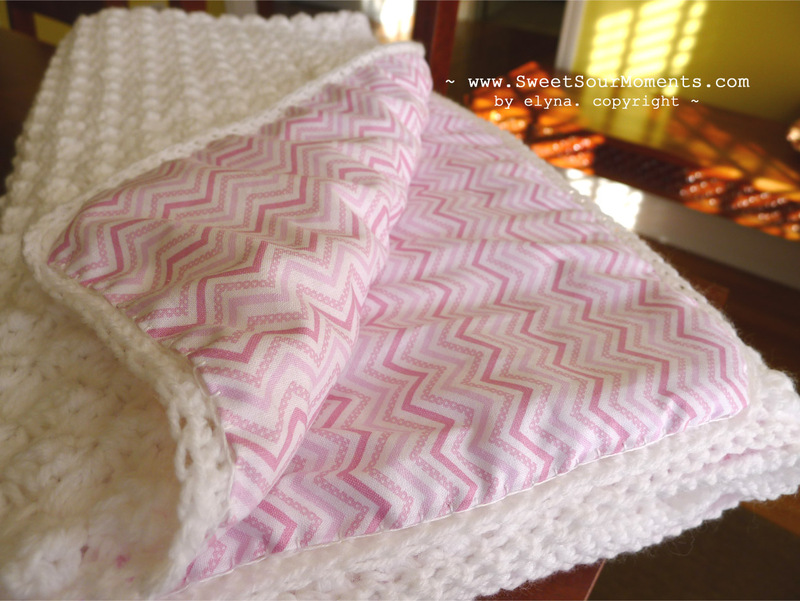 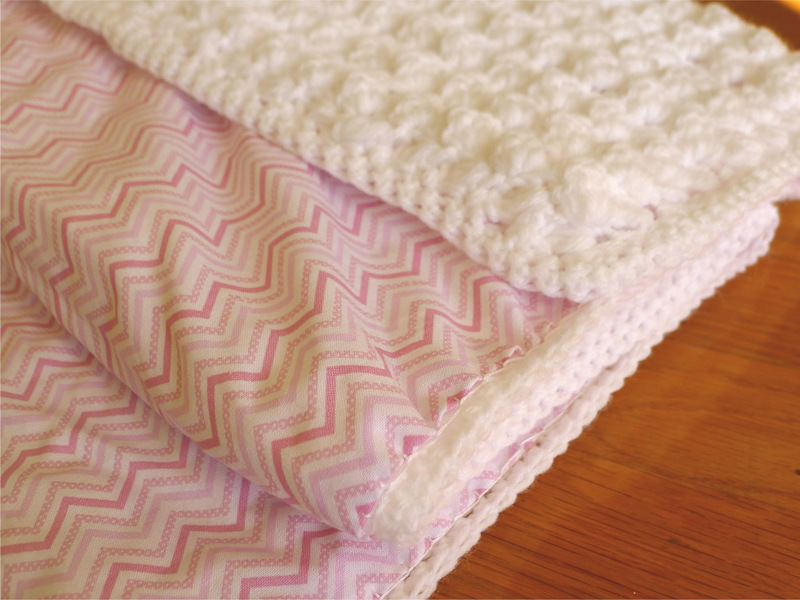 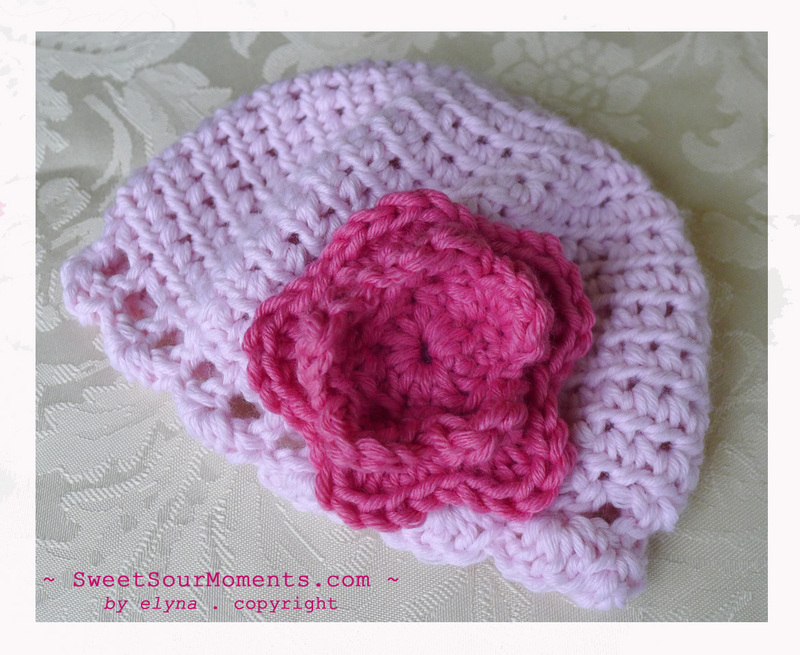 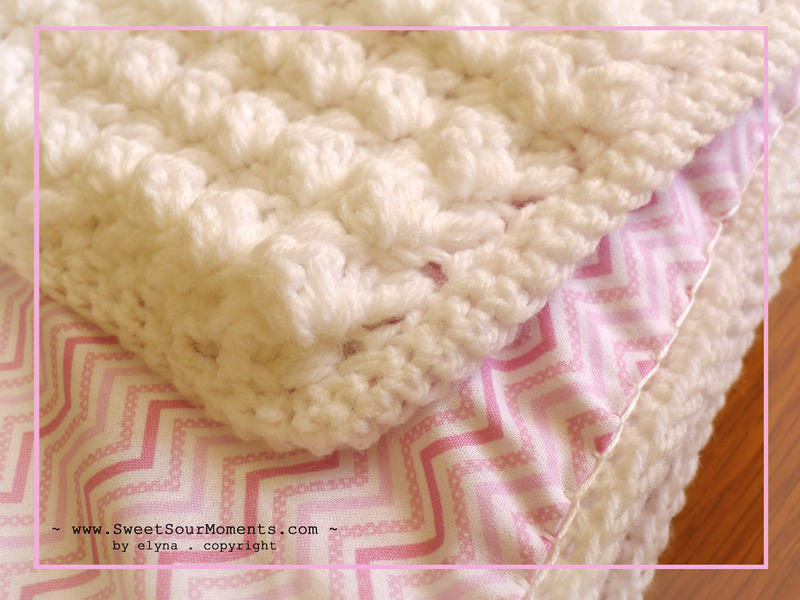 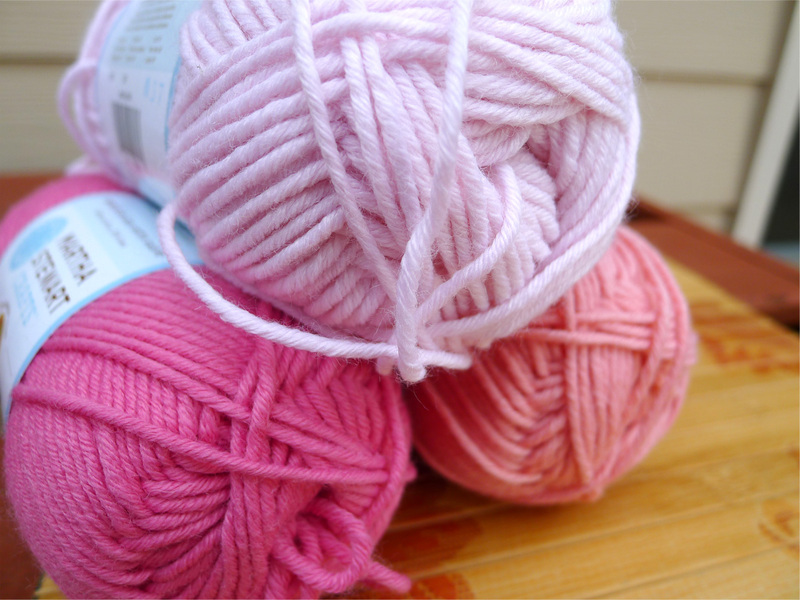 I name this baby blanket Cotton Candy Blanket as it reminds me of the fluffy and puffy cotton candy, don’t you think so ? 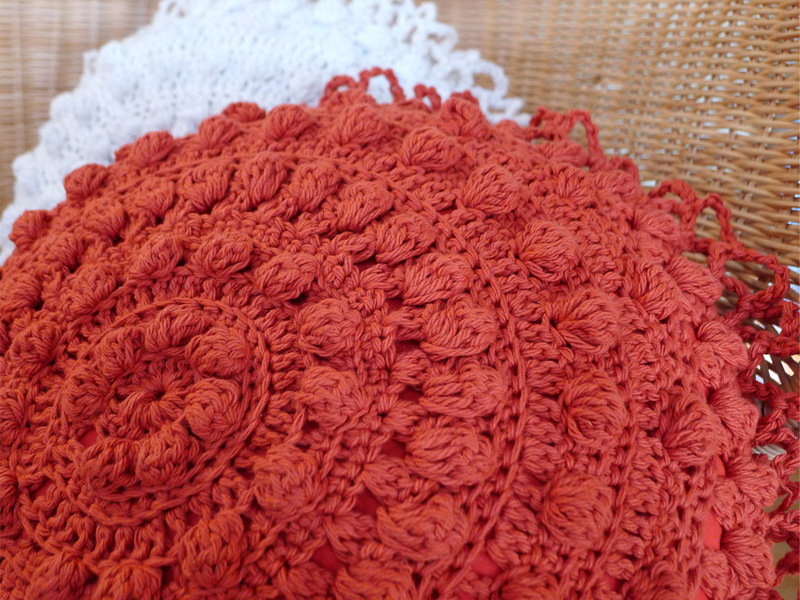 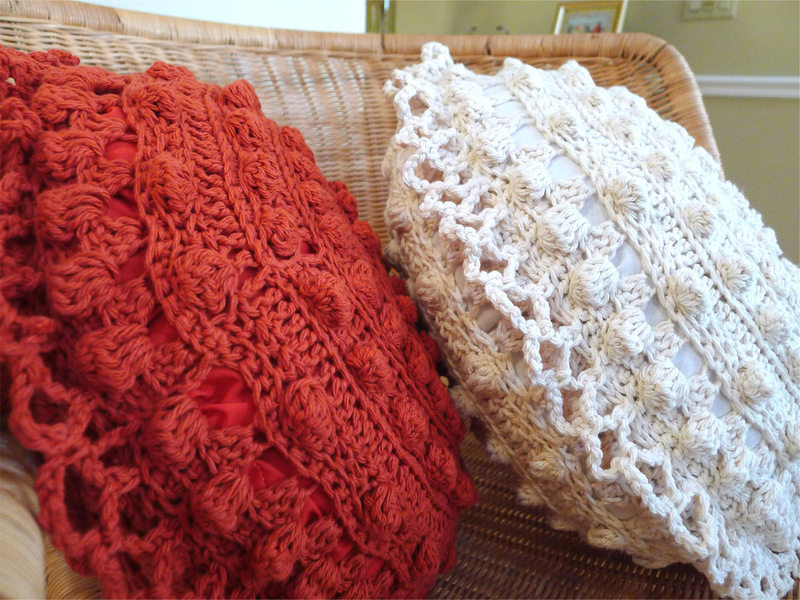 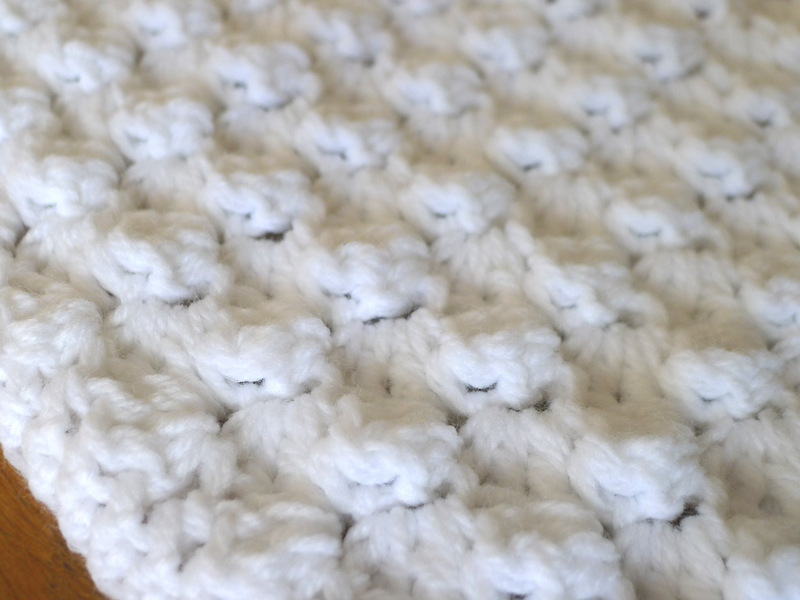 This is a simple puff stitch commonly used in making blanket, found the pattern online. 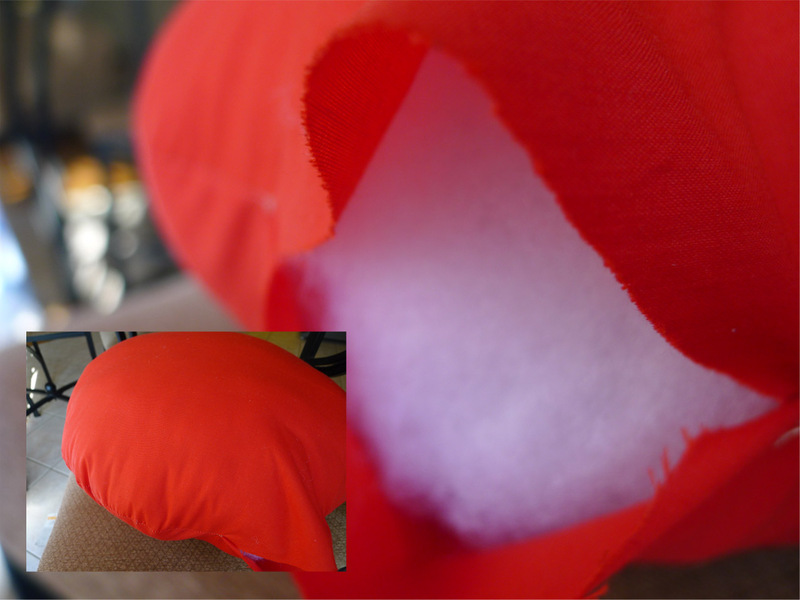 I added fabric liner on the inside for practical purpose when wrapping the baby. 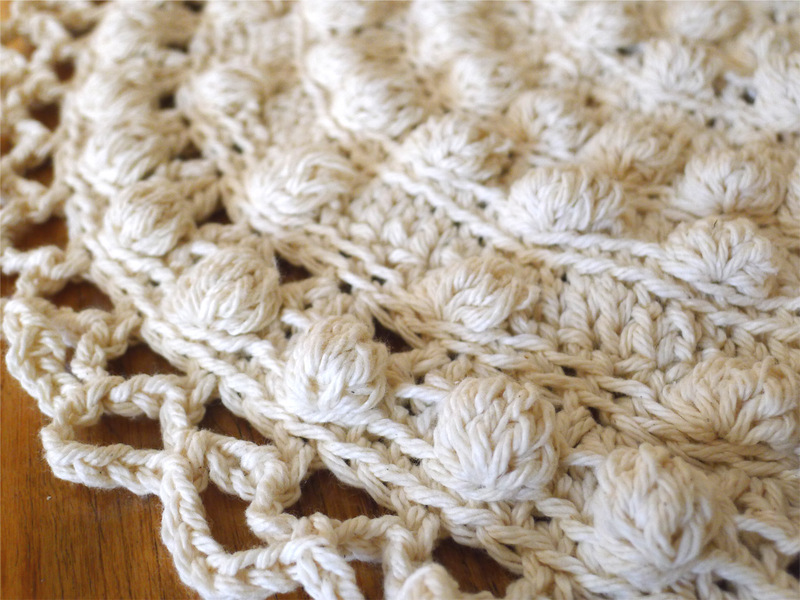 – Chain multiple of 3 stitches then add 2 at the end. 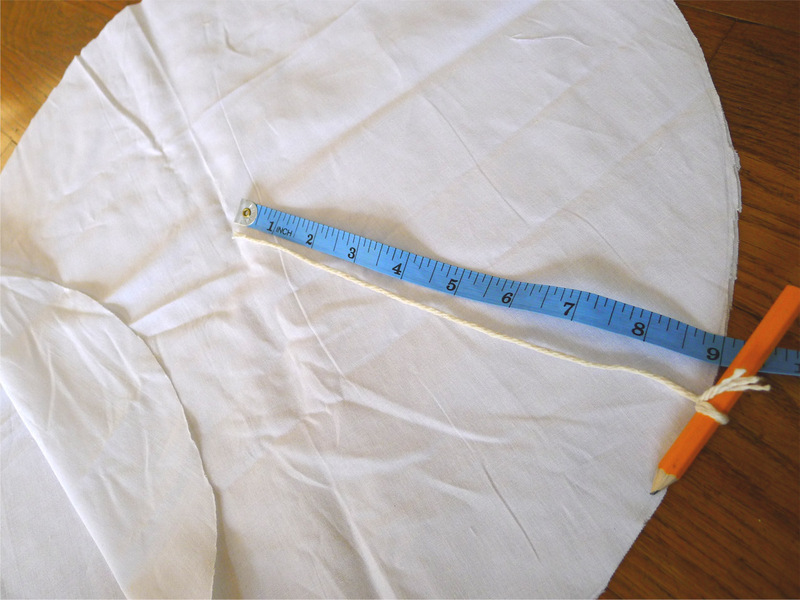 Basically we just chain the length to the measurement desired in multiple 3 chains then add 2 chains at the end. 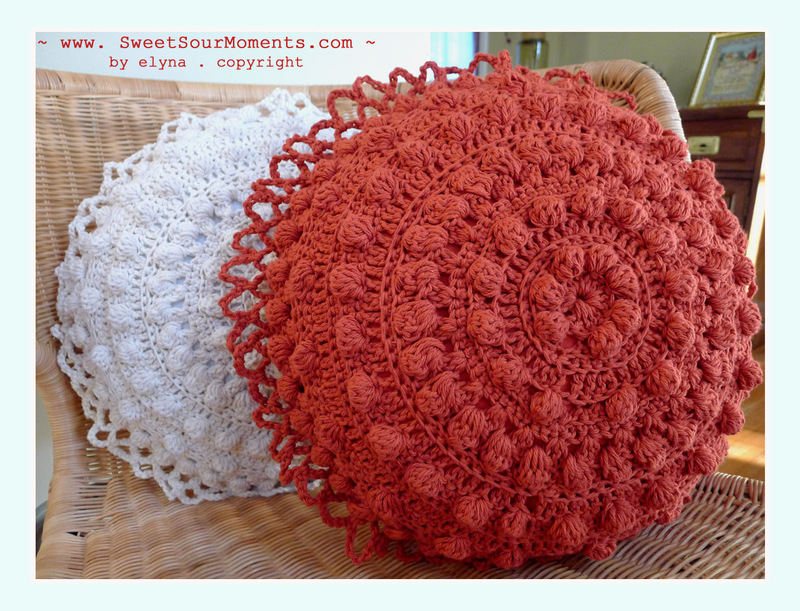 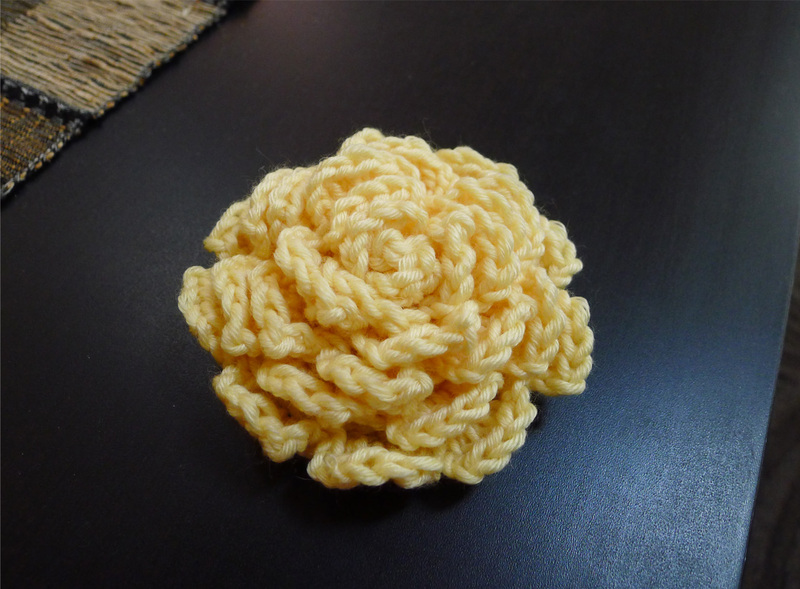 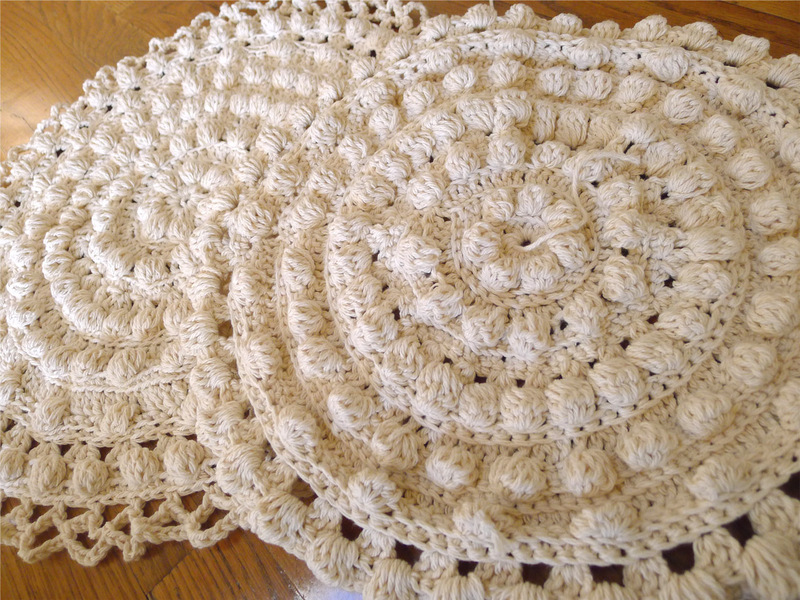 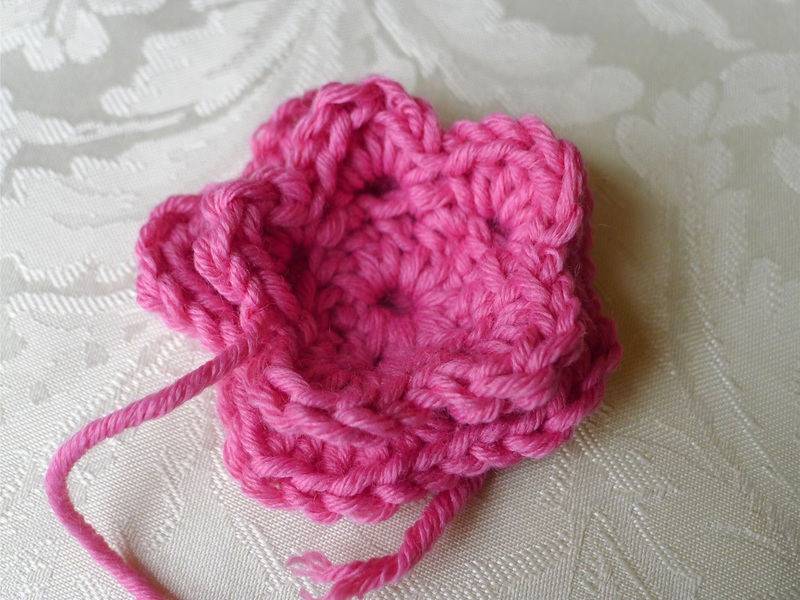 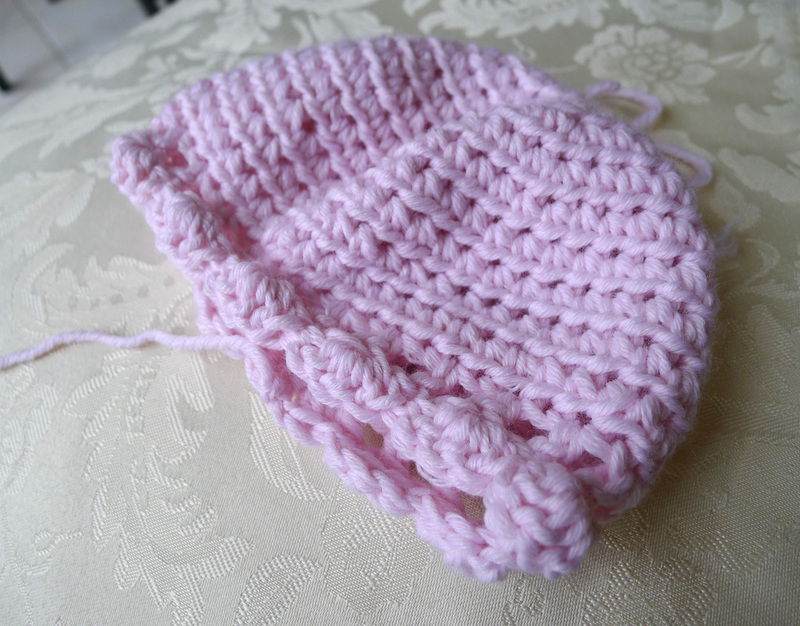 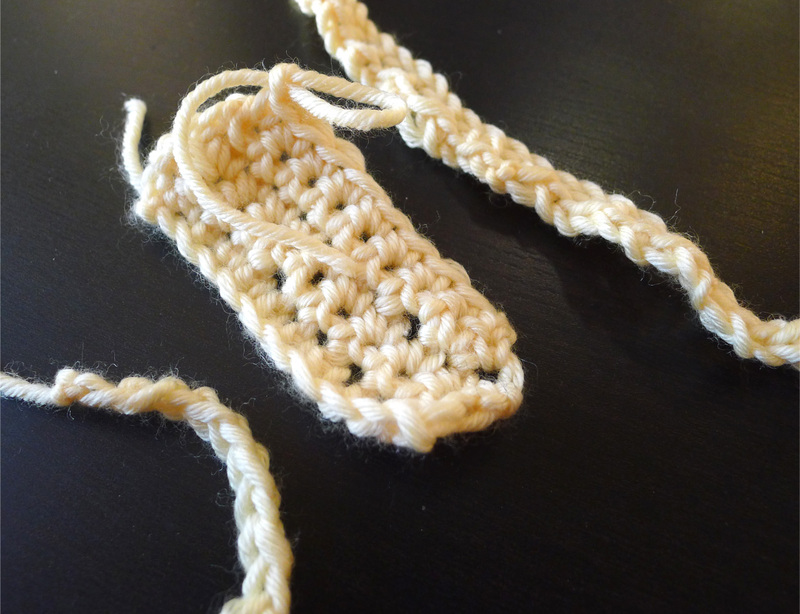 – Single Crochet (SC) at the 1st stitch from the hook then 2 Double Crochets (DC) at the same space, skip 2 and repeat. 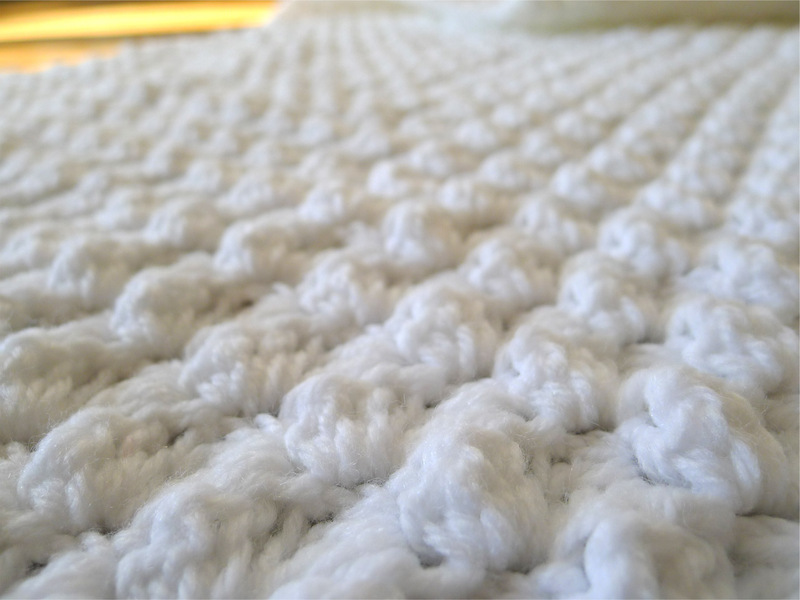 – At the end, SC at 1 last chain, chain 2 then turn. 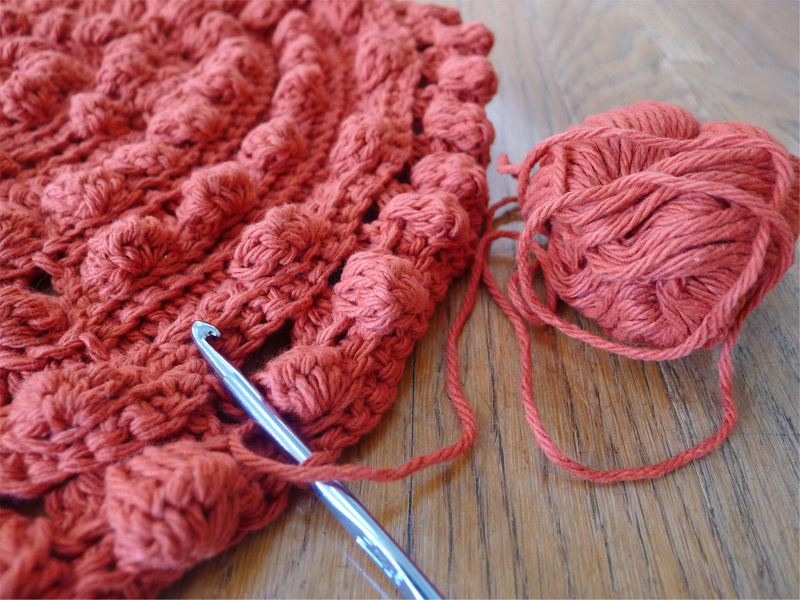 – Repeat the pattern 1 SC, 2 DC at the space between 2 puff.